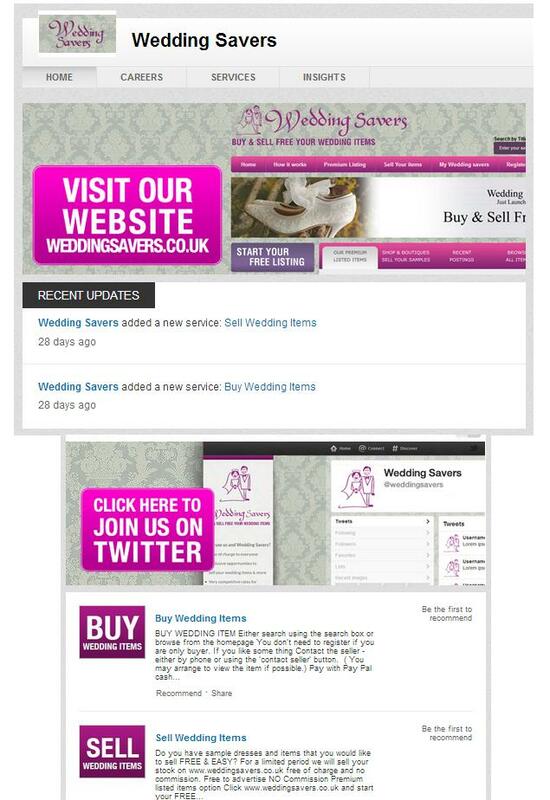 The 'Wedding Savers' Linkedin page; as designed by Codastar Design. For the new page, there are no actual ‘feature’ updates or add-ons, the new look is the overall feel and look of your page. Most importantly to your page’s design, you now have the option to add a cover-style banner image (similar to that of Facebook’s Banner) across the top of your page for added brand coverage and awareness. The featured page elements (such as ‘Company Updates’ and ‘Product and Services’ sections) are now far more prominently featured, with the ability for users to view those that have recommended your products and services to others in your networks. A refreshed look for the ‘Careers Section’ for Company Pages. A prominently displayed option for targeting your Company Updates to certain demographics and segments of your target audience. All Company pages are now able to be viewed on all iPhone, Android, and iPad applications. So What Does This Means For Your Business? With the new look of Linkedin, it is now far easier for users to gain exactly the right information they are looking for from the companies they care about in a far more timely and efficient fashion. For you? This means you now have the tools to build a far more powerful way of building relationships with your target audience on Linkedin – resulting (if done correctly) in an increase in customer conversions and ROI in using the network. Its a bit of a cliché, saying a “picture is worth a thousand words”, but it really is the case. Think about it; if you found a Facebook profile looking desolate and dreary, what are the chances you’ll ‘like’ them, or ultimately – even remember them? Maximising the new image options will give you added advantage over your competition; will all new opportunity to represent your company and brand online – establishing your unique identity and stand out in the crowd. With the new streamlined design, users can now find, follow (and most importantly) engage with the companies they are interested in. With this new simple to use navigation, it is ever more important to showcase themselves in an effective manner; but promoting products and services efficiently to the members and users that really matter. Of course, information can be overlooked all too easily if it is not easy to spot. Put simply, now more than ever, your page design is incredibly important to the effectiveness of your Linkedin Company Page. So how do we design our page effectively? There are some really simple ways to update and design your page effectively, making sure your page holds you in great stead against your competitors. Did you know that your Banner/Header Image is clickable? No? Most people don’t. This is why a correctly designed Banner image will help convey your brand message in a more effective way that purely a block of text. Ensure you use high definition banner images (no-one likes a pixelated picture!) that really conveys what your business is about. Include punchy key information to ensure those extra clicks and generate leads directly to your company page and website. Contact details and ‘Demo/Free Trial’ are great examples of how to make the image work for your business, and stand out. First things first; you can now add three large banners at the top of the section best representing your products/services along with a link to each back to your website. Ensure these (much like your main ‘banner’) is relevant, eye catching, and contains key calls-to-action and information. Secondly; never forget about your image thumbnails. Drawing in your customers on this page is more important than you think. At the bottom of your page, users will also see an ‘also viewed’ box, listing similar companies providing similar services/products to your own. If you don’t hold a strong enough brand and interest – users can easily go elsewhere. Don’t panic though, as well as this addition Linkedin allow your visitors to see people in their network who have recommended you. Make the most of this feature by asking existing connections and customers to complete reviews to give your page added definition – along with the chance to create added opportunities and leads. The easiest way to avoid this? Speak to the professionals! Here at Codastar we have extensive experience in creating bespoke Linkedin Company Pages for a variety of businesses in a variety of industries. Our packages can be completely tailored to your needs; whether you need a tweak here and there or a full-on overhaul of your site.